A vacation home in South Carolina is a perfect place to spend your next retreat away from home. South Carolina is known for its beautiful beaches, 1st class golf courses and amazing food. Whatever you are looking to do, there is something for everyone to do in South Carolina. With a large selection of vacation homes, condos and villa rentals in South Carolina, you are able to pick the perfect destination. The golf courses in South Carolina are absolutely amazing with over 300 to choose from. There are several championship courses, along with beginner to intermediate as well. The scenery of the golf courses in South Carolina are absolutely breathtaking.Myrtle Beachis home to 5 championship golf courses across 10 miles of beach front. Tennis is also a very popular sport that is played, with 1st class facilities. Water Sports in South Carolina attracts millions each year. Activities may include swimming, sunbathing, sand volleyball, fishing, skiing, boating, parasailing, jet skis and crab hunting on the beaches at night. Popular beach destinations includeMyrtle Beach,Hilton Head Island,Kiawah Island, Fripp Island, Edisto Island, Seabrook Island and Beaufort South Carolina. There is a very nice island 20 miles south of Charleston called Kiawah Island. The island provides over 10 miles of beachfront where you can enjoy windsurfing, golf, biking and nature watching. The western part of South Carolina is those who enjoy nature and other scenic activities. There are beautiful mountains, rivers, lakes and streams. The activities include hiking, fishing, hunting, boating, along with many others. Popular scenic destinations include: Devils Fork State Park, Caesars Head Sate Park, Jones Gap State Park, Lake Jocassee and Lake Keowee. Columbia is the states capital and the home of University of South Carolina. There are historical attractions, zoo's and museum's in Columbia that many individuals visit. South Carolina's large selection of attractions and destinations has allowed the state to become one of the most traveled states for vacations. With several vacation rentals by owner, such as, homes, villas and condos, you can find the vacation of your dreams at lower cost. 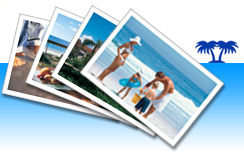 We here at www.ivacationonline.com work closely with property owners to provide you quick and easy booking of your next vacation. Ourvacation rental management softwareallows you to book your unit of choice in a matter of minutes. We hope you enjoy your next vacation in South Carolina!